Wendy Leith is the Director of Billing for Central Care Cancer Center. Wendy has been with Central Care Cancer Center for 9 years. She received her Bachelor of Science degree in Criminal Justice Administration from the University of Phoenix. 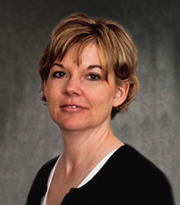 Wendy has been in the medical billing field since 1988 and in the management field since 2004. Her responsibilities include overseeing all aspects of the billing and collections department. Wendy is an active member of the Medical Group Management Association and the American Academy of Certified Coders.